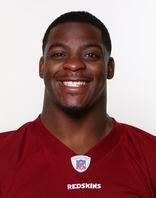 Fantasy Focus: Is Clinton Portis still fantasy relevant? I read an interesting article asking was Clinton Portis still fantasy relevant. I went back and looked at some of his stats and a couple interesting things jumped out at me. First off Clinton is only 29 he has not reached the dreaded age of 30 where all running backs tend to drop off. He did miss 8 games due to concussions, which could be a good thing for him because he should be fresh heading into this season. As of right now he is the starter and he had his best and most productive years under new head coach Mike Shannahan. I believe Clinton should be on fantasy teams this year and he just might reward his owners with a nice season.